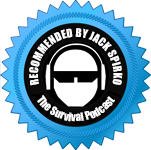 LPC Survival Helping you prepare while time is on your side. Great Lakes' unflavored kosher beef gelatin dietary supplement is pure protein and aids in collagen joint care. It offers the same benefits as the hydrolysate. The gelatin will clump up in cold liquids so it is recommended to either dissolve in hot liquid or room temperature liquids which will allow it to dissolve or swell. Be the first to review “Great Lakes Unflavored Beef Gelatin 16 oz – Kosher” Click here to cancel reply. Guest Post: Start Your Preparedness Binder Today! Connect with us on your favorite sites! Our Exclusive Lifetime warranty for Berkey Water Filtration Systems ensures replacement of all Berkey canisters, spigots, washers, and wing nuts that fail due to faulty materials or workmanship. These items may be returned to us and we will send you new replacement items. There is no need to register with us; this warranty applies to any system purchased on our web site at www.directive21.com or over the phone on or after January 1, 2011. 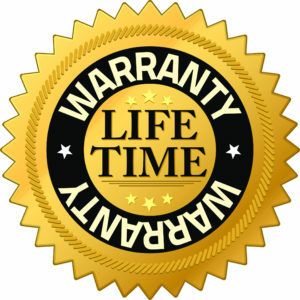 This warranty does not cover damage caused by carelessness, accidents, or abuse of the system. Filters have a separate warranty. This Exclusive Lifetime warranty exists in addition to all other stated warranties on Berkey Systems. To take advantage of your lifetime warranty on Berkey canisters, spigots, washers, or wing nuts, contact us at 877-886-3653. If possible, please have your receipt handy. Once you have reported the issue, you will be asked to ship the damaged parts to us. We will process the claim and, if it’s approved, ship the replacement parts to you within one business day. All shipping will be at the customer’s expense. All other items have a manufacturer’s warranty of at least 90 days, and some are up to a year. If an item breaks due to a manufacturer defect, please call us at 877-886-3653.